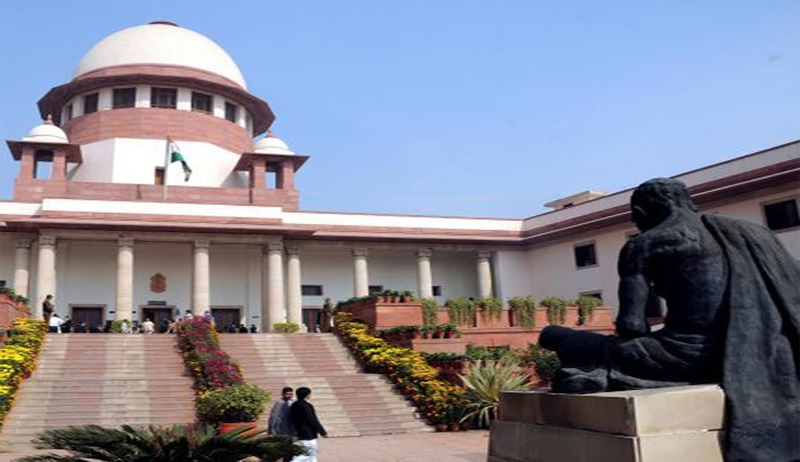 After the Additional Solicitor General Maninder Singh sought an urgent intervention on the issue, the Supreme Court today stayed the order of the Armed Forces Tribunal by which it had allowed the reinstatement of a Sailor who had allegedly slapped an Officer while on duty. The Tribunal had found the sailor guilty of slapping the Officer but had substituted the order of dismissal with 75 days detention. A bench of justices MY Eqbal and Arun Mishra also issued notice to Karthik, the sailor involved in the incident. The Centre reportedly submitted to the Court, "The conduct of the respondent (Karthik) was such that it tends to shake up the confidence and trust that was reposed in him and the misconduct directly impinges upon the discipline and morale of the force on which the entire edifice of Navy is built." The ASG also submitted, "The AFT having upheld the finding of 'guilty' could not have substituted the punishment of dismissal with detention for 75 days." The Sailor was part of the Aviation Core team on board of INS Gharial which was sailing from Vishakhapatnam to Brunei and the incident reportedly happened on May 29, 2013. He had pleaded guilty to the action and his dismissal was upheld by Chief of Naval Staff. The Armed Forces Tribunal which had modified the punishment to detention had observed that the fact that the Officer had used abusive language to instigate the Sailor needs to be considered while deciding the sentence.